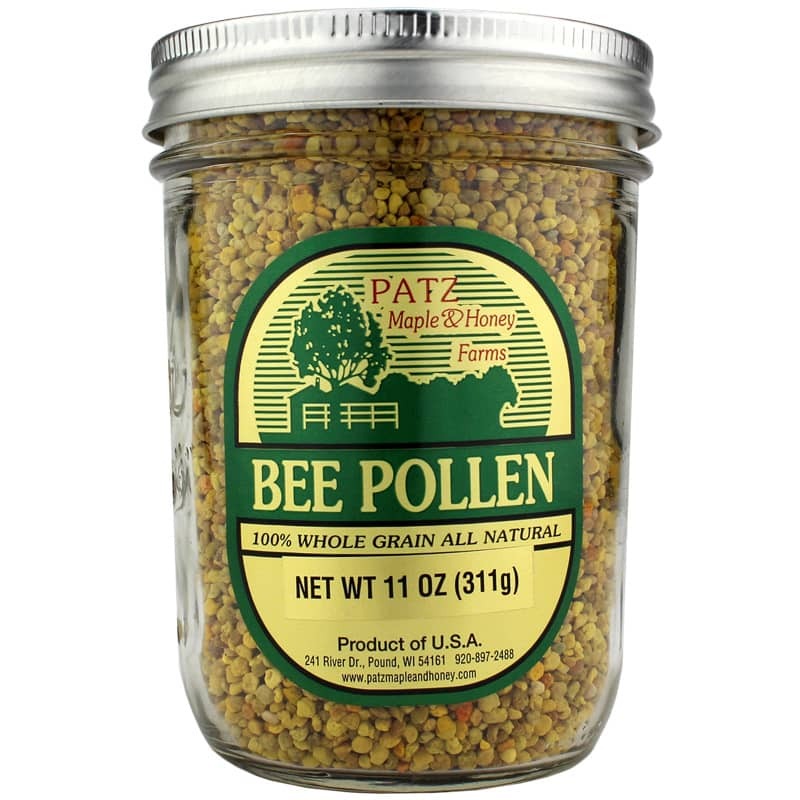 Bee Pollen 100% Whole Grain from Patz Maple & Honey Farms seeks to support immune function, a normal immune response to harmless substances and a healthy tolerance to pollen. When bees land on flowers, pollen sticks to their bodies and some of that pollen makes it back to the hive where it is periodically collected from May through September. The pollen is frozen and at the end of the growing season it is cleaned, dehydrated, and blended together, so when the mixture is consumed, you are ingesting pollen from every month. Add this mixture to drinks or food. Ingesting pollen this way is believed to support the body’s normal histamine response which is part of a normal immune reaction to foreign substances. When the body comes into contact with allergens, the immune system produces different types of antibodies that cause cells to produce histamines, which act on different areas of the body as a means to support healthy cells during seasonal challenges. 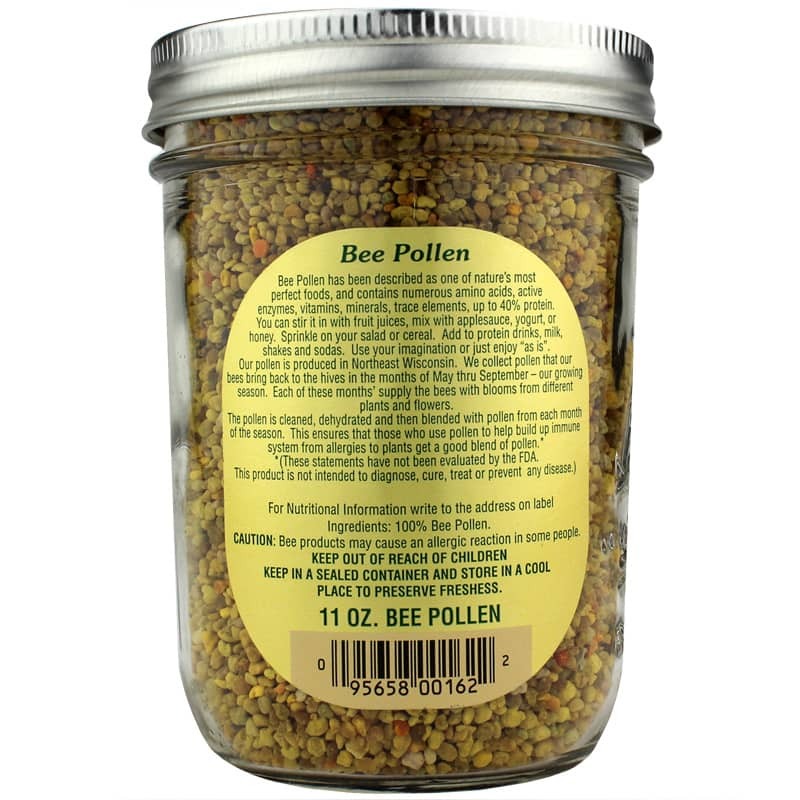 For support of a healthy immune system and a normal histamine response, try 100% bee pollen that has been gathered throughout the growing season and can be added to almost any food or drink. Stir it in with fruit juices, mix with applesauce, yogurt or honey. Sprinkle on your salad or cereal. Add to protein drinks, milk, shakes and sodas. Use your imagination or just enjoy "as is."